^ a b c d e George H. Nash, ed (2011-11-07) (英語). Freedom Betrayed: Herbert Hoover's Secret History of the Second World War and Its Aftermath (邦題：『裏切られた自由』). 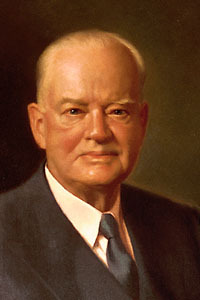 The Herbert Hoover Estate, The Herbert Hoover Foundation (初版 ed.). アメリカ合衆国カリフォルニア州スタンフォード大学内: Hoover Institution Press. ASIN 0817912347. ISBN 978-0-8179-1234-5. http://www.hooverpress.org/productdetails.cfm?PC=1470 2012年12月8日閲覧。. ^ Beschloss 2002, p. 277.